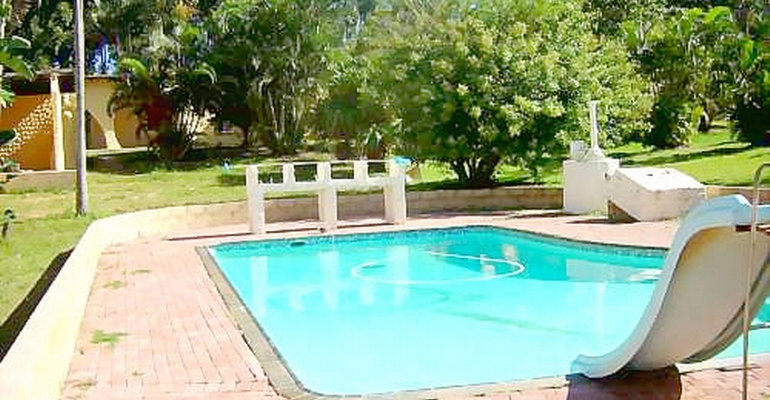 Forest Casino Family Resort consists of 20 self catering chalets in a forest-like setting, on a quiet road in Port Edward. The chalets have 2 and a half bedrooms and sleep a maximum of 8 people. There is a pool on the complex and a children's play area which includes volley ball, a pool table and a trampoline. The complex is just a short drive to Port Edward Main Beach and only 5 minutes away from the Wild Coast Sun. Our rates vary according to number of people and the season, please enquire for a quote.